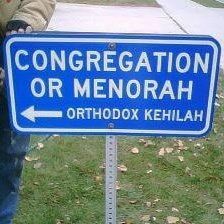 Or Menorah, a one-of-a-kind shul in the community, has older Torah Scrolls needing major repair and the Shul needs additional funds to continue to serve the community. (as many know the people we shared our old building with ran off with all the money we raised during our first 6 years and we are still are trying to recover) Please help us continue as a true “Makom Kodosh”. You may also pay your dues, your Kiddush or Shaloshudos sponsorships, or your Yortzeit & Yizkor pledges on the site. May ‘ה bless you for your Tzedakah and Chessed!